Right from wanting to successfully conduct active cell imaging in studies to researching colorization in depth; many deem super-resolution microscopy the ideal solution. Recent advancements in science have presented the Andor camera as one that is the most suitable for ultrastructural investigations under fluorescence microscopy. 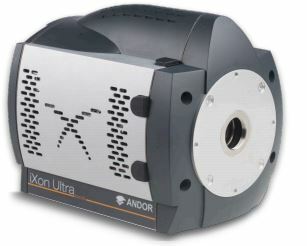 Andor Ixon Ultra 897 EMCCD Camera is favoured for it allows users to navigate the typical range of fluorescence microscopy expertly and journey beyond to super-resolution microscopy. Apart from surpassing resolution limits, Andor emccd is back-illuminated and accelerated to 56 fps. This enhances the pushing speed performance exponentially leading to stellar results without compromising the quantitative stability! 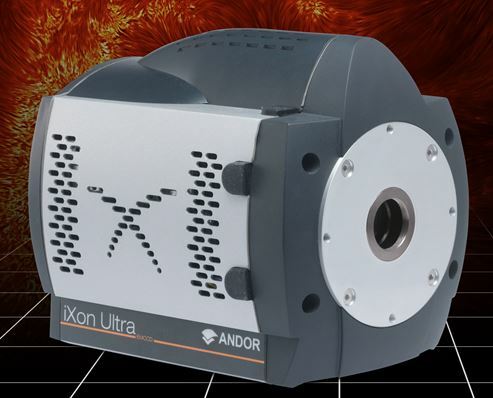 ANDOR Camera product range includes the world’s most advanced and versatile EMCCD, CCD and ICCD detectors, as well as our most recent technological advancement, Scientific CMOS (sCMOS) technology. Vacuum cooled Scientific CMOS with 1 e-read noise – Rolling and Snapshot exposure Scientific CMOS (sCMOS) Camera is a breakthrough technology that offers an advanced set of performance features that render it ideal to high fidelity, quantitative scientific measurement. The multi-megapixel sensors offers a large field of view and high resolution, without compromising read noise, dynamic range or frame rate.